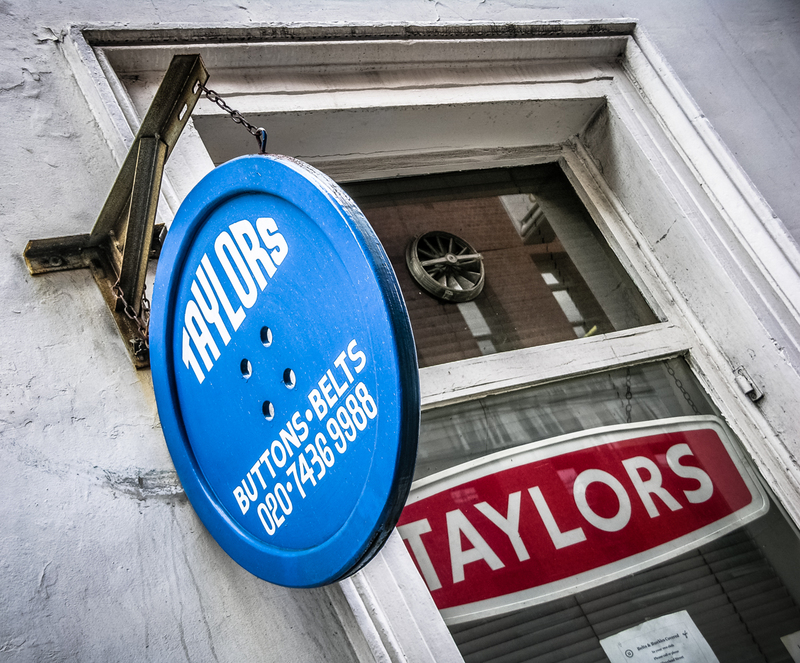 Taylors, 22 Cleveland Street, City of Westminster, London W1, 2005 • Giant button sign for a bespoke button emporium. 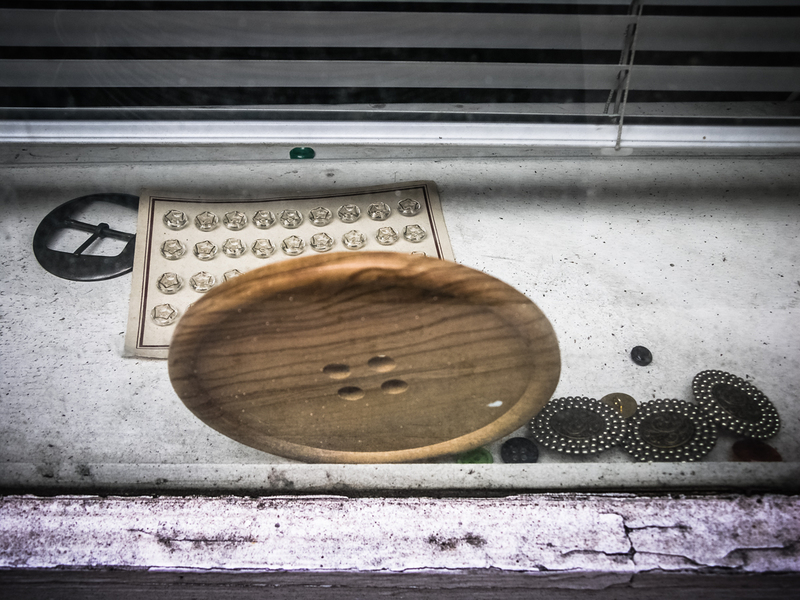 It is still there today (though not looking so quaint), offering a walk-in while-you-wait hand-made covered button service. 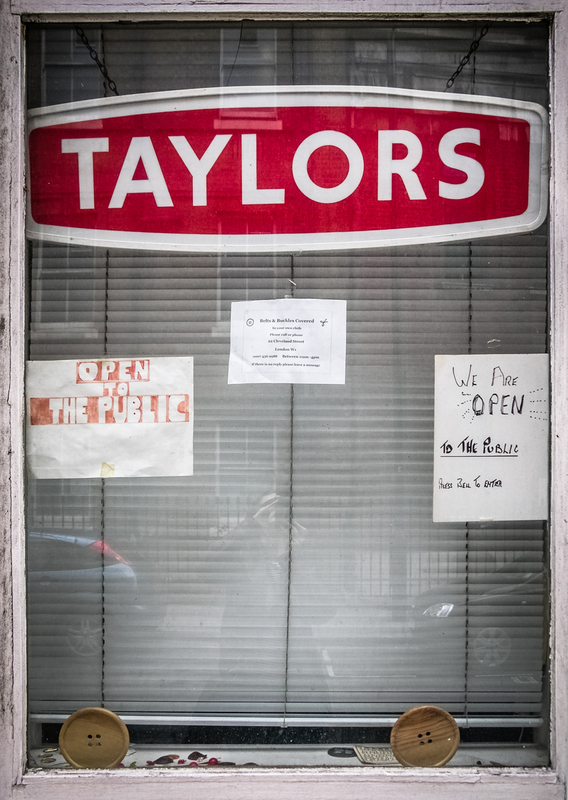 The business moved here from Silver Place in Soho in 2002, where it had been for about 40 years. 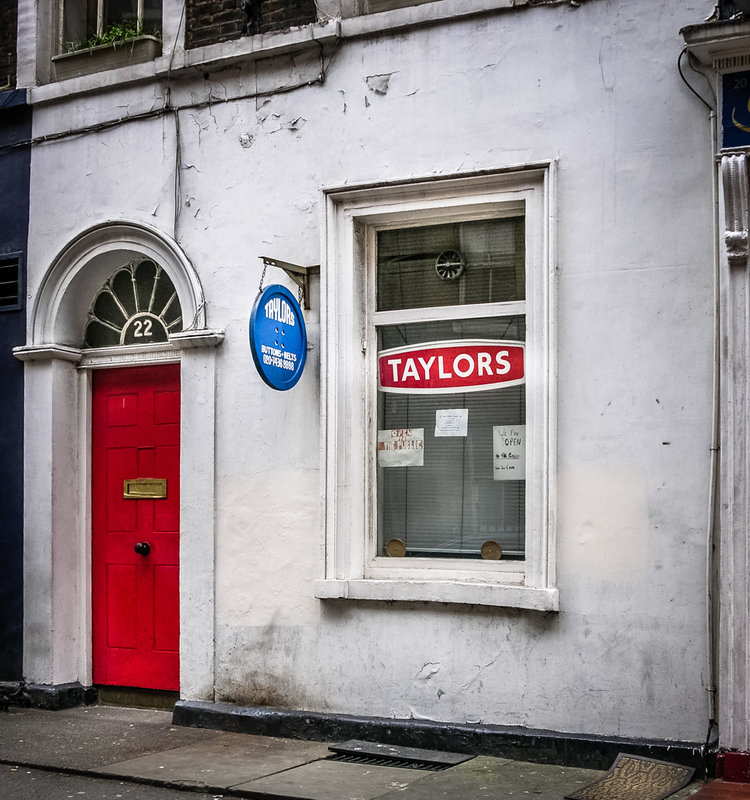 The house has a blue plaque to Charles Dickens saying a young Charles Dickens once lived there, a few doors away from the Cleveland Street Workhouse; there’s more info on Taylors’ website.